Do you love seafood? Well, if you’re not allergic to those shellfishes, this is one of a simple yet delicious dish to make at home. 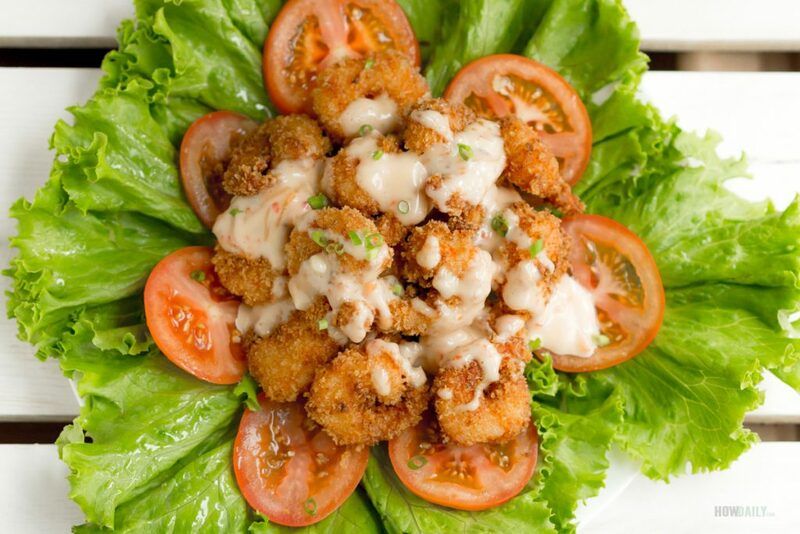 Bang bang shrimp is a famous appetizer in many restaurant menu, more like a spin off the tradition popcorn shrimp, I guess. 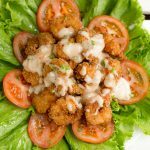 Your kiddo will love the crunchiness and great fresh tasting shrimp, and you will love the creamy, tangy and sweet of the cover sauce. At Bonefish grill, they coated the fried shrimp in the sauce completely, just like the buffalo wing with – err shrimp version. Personally I like the sauce as a dip, or just pour over, so that the crunchiness still go on even after long hour of serving time. For the sauce, I include a simplified version, since Sriracha and the sweet chili sauce could be found almost at any grocery store that carry international food. If you can’t find any, then look out on future posts for the long fully home make bang bang shrimp sauce version. 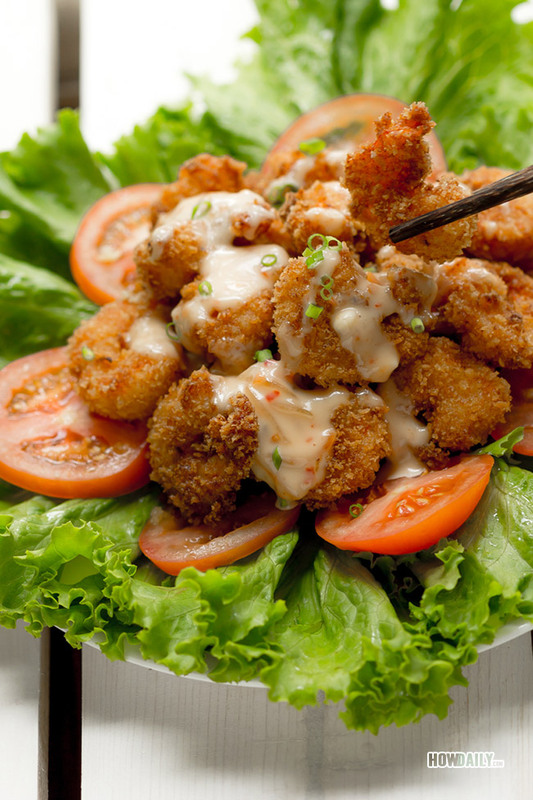 In a large container, add a sprinkle of ground pepper and 1 tsp seasoning powder to Shrimp, shake to mix evenly. 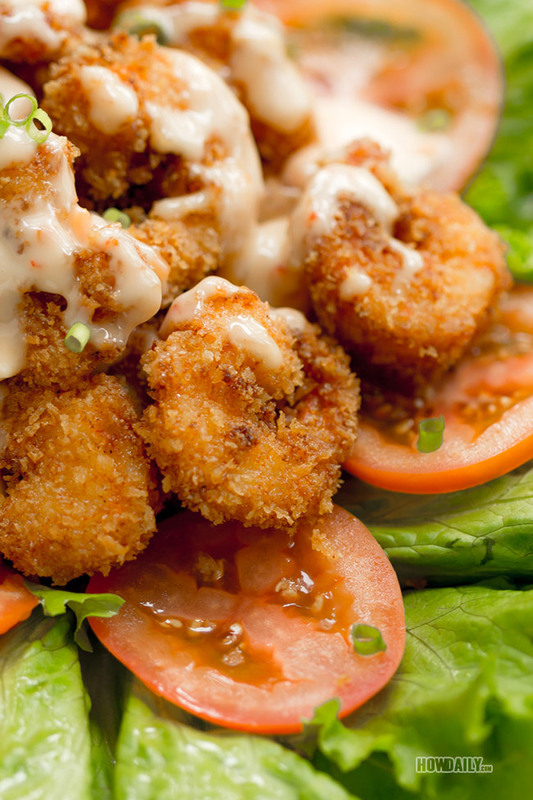 Add 1 Tbsp all purpose flour, 2 Tbsp cornstarch and 1/4 tsp salt to the shrimp. Again, shake them up. 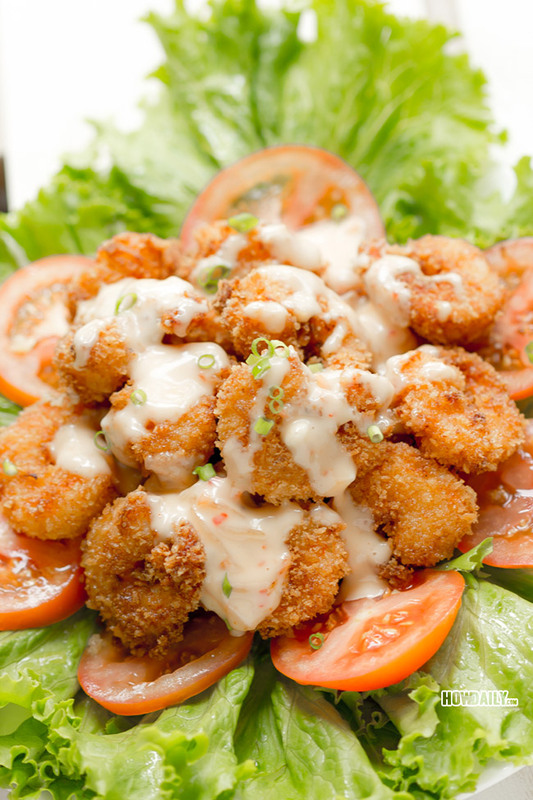 Take each batter covered shrimp and dip it in the egg, then roll the shrimp in the breadcrumbs till evenly coat. Fry the shrimps until light golden brown, then remove from oil, and place them on parchment paper. In another container, making the spicy sweet sauce by combining 1/2 cup Mayo, 1 Tbsp Sriracha, 3 Tbsp sweet chili sauce, 2 Tbsp rice vinegar and a sprinkle of salt. 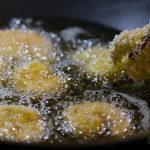 Beat and mix them good, then just pour the sauce over your fried shrimp. Shake to mix or serve as is.